UFC heavyweight champion Stipe Miocic will defend his belt against the winner of Saturday’s fight between Francis Ngannou and Alistair Overeem, but middleweight champ Georges St. Pierre will miss time because of illness. UFC president Dana White offered updates on two of the organization’s champions after “The Ultimate Fighter” Finale card Friday night at Park Theater in the Monte Carlo. 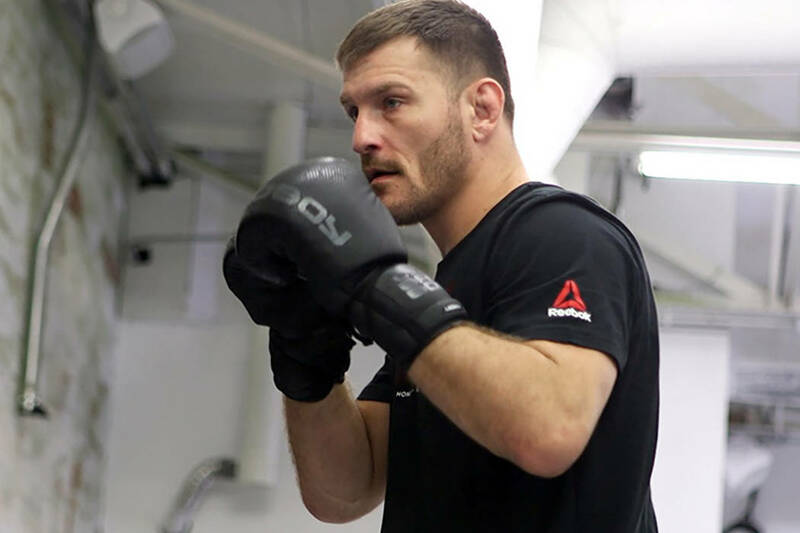 It looks as if heavyweight champion Stipe Miocic will be back in action before new middleweight champ Georges St. Pierre. 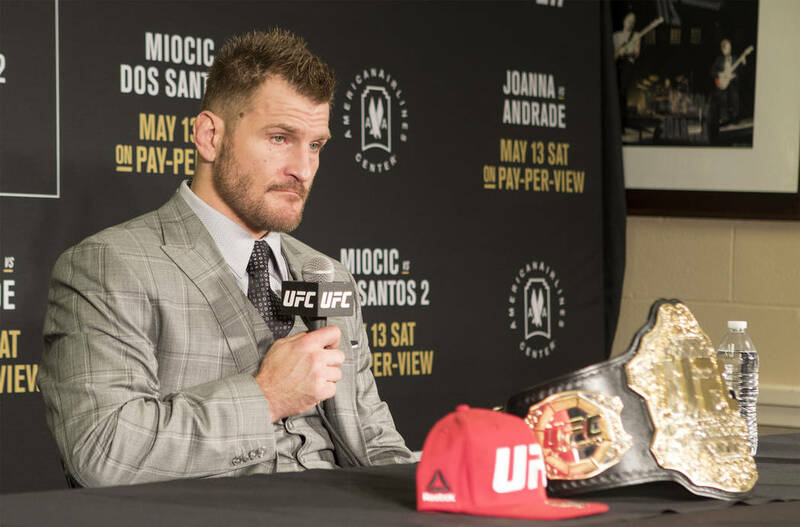 Miocic, who last defended the belt in May, has been adamant about coming to more favorable terms on his deal before fighting again. Apparently, that issue has been solved. White said the winner of Saturday’s UFC 218 bout between Alistair Overeem and rising star Francis Ngannou will fight Miocic in early 2018. It could be longer before St. Pierre is ready to fight. That could open the door for interim middleweight champion Robert Whittaker to defend that belt in St. Pierre’s absence. Whittaker was hoping to get a unification bout against St. Pierre, but that seems unlikely for the time being. White did not offer a timeline for St. Pierre’s absence. Colitis is an inflammation of the colon.